Almost 2 and half wonderful years later of co-founding Urban Bush Babes with Nikisha, I have never really discussed my past and the reasoning behind my own journey of going natural. I thought I would open up a bit with all of you since it is a personal and important journey I wish to share. Hailing from Baltimore, Maryland but as a native we officially call it B’more. My younger years due to my family history was immersed in the world of arts, music, education and political/social issues. Raised by a strict, militant, outgoing, political, street smart and “I brought you into this world I can take you out” father and a highly educated, beautiful poised, amazing, motivating and John Hopkins graduate (one of the top universities in the nation) mother, I was quickly taught “you can do anything, be anything if you put in the work and don’t let anyone tell you differently”. I grew up in a household where age didn’t mean a thing, I was doing chores at 5 years old, and since I couldn’t reach the kitchen sink my father would place a bucket underneath us so we could access and wash our own dishes. Being a southern girl; manners, respect to others and myself was a necessity not a choice in my upbringing. The beginning of everything. My Father and mother with my twin and I. Definitely feel blessed to have been born with two best friends, my mother and sister. I was exposed to a strong sense of what family meant and the resilience of my father and mother from my youth, especially living in rural parts of Maryland where the Ku Klux Klan would literally parade around in their costumes. Dealing with racism was something I was exposed to at a very young age. When we were just babies, my Mother was coming home from work and took us to the office beforehand, while in the back seat someone attempted to run my Mother off the road simply because of the color of her skin, or bricks that were thrown in our apartment windows or being chased by a vehicle full of skinheads shouting n@gger when my sister and I were 9 years old coming home from school. As you can imagine this did not go over well with my father who pursued them immediately, and let’s just say that was the last time. So honestly I can say by the time harassment reared its ugly head regarding my natural hair, it didn’t really bother me as much since I was already exposed to such heavy issues early on. Growing up being natural was well… just naturally who I was. My twin sister had natural hair, my Mother had natural hair and many women on my Mother’s side who lived in the country parts of Maryland had natural hair, in fact massive waist long braids but on the other hand I was not naïve to chemicals from certain teenage cousins who rocked relaxers, but little did I know I would fall under the influence of creamy crack, and chemicals would become a big part of my life. Till this day I do not know how my Mother did it while being a supportive, loving mother, wife, full-time student while working part-time with two twin girls and massive amounts of hair. My mother is a pivotal part in how I take care of my hair and without her invaluable lessons I might not have been as knowledgeable today. To the most amazing, strong, intelligent, caring and beautiful woman who influenced my world, my mother pictured here at 19 yrs old on the right. 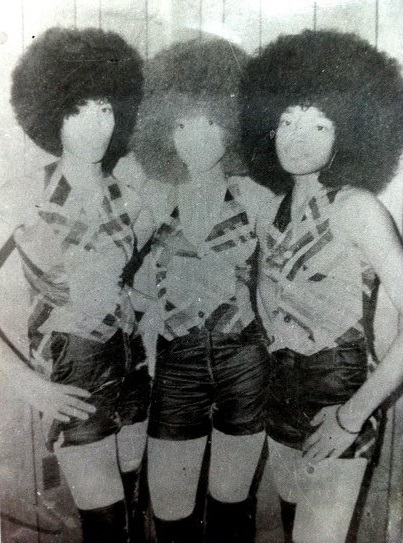 Part of an all girl’s rock/soul band. My Godmother is center. The earliest memories of my hair are fond ones, my Mother would wrap my hair up and read to us every single night. In our pre-teens we would watch FAME with Debbie Allen and 21 Jump Street with Holly Robinson-Peete and Johnny Depp while she finger detangled and combed our hair. Hands down my Mother taught me the true meaning of patience. The gentle care and time in which she handled our hair led to the debate between my sister and me on who would get their hair done first. Pictured here with my mother, identical twin, grandmother and grandfather when I was 10. My mother was relentless in the style and proper care of our hair but unfortunately the harassment of our hair was relentless as well. I actually remember this day, it was so hot that when I was sitting in the back seat of the car I pushed one of my ponytails out the window to give me some relief! Plus in the picture you can’t see but we had three huge French braids in the back because our mom couldn’t place all of our hair in two ponytails, lol. In fact until my early teens natural was all I was exposed to. Mainstream media didn’t have an effect on me yet, because I wasn’t consumed by it to notice an artificial “standard of beauty”, my standard of beauty was my Mother who I adored, I had a strict upbringing and wasn’t allowed to watch tv on school days and most of my summers when school was done for the year was spent with additional homeschooling, learning how to box, play the piano, music, arts, basketball camp and hard knock life lessons by my father whose ideologies included daughters who could take care and support themselves physically while being educated with no distractions which meant no boys… I was petrified of my father, so when he said “if you ever come home pregnant I will kill you”…I believed it, we didn’t have our first date until our early twenties so you can guess how popular we were in school, and I can say this in a light manner now, but as for harassment thru my youth, yes, there are more than a FEW stories but my father taught us from an early age when people usually express meaningless negativity towards you that it is coming from a place of ignorance or something they want but feel that they can’t achieve. My father always stressed “would you rather deal with them or me” and if you knew my father you would know the answer would be “them”. Perhaps not the best strategy but as militant as my father was, my twin and I quickly learned how to fend for ourselves and confront issues head on, but if teasing reached extreme measures my father had no problem coming to my school to address the issue to the principal, which lead to a student/parent conference. My parents wanted nothing to affect my learning haven in any environment. It was a bit embarrassing then but something I really have come to appreciate today. During my high school years, teasing reached a minimal low because of the history of my father’s presence in school and our tomboyish nature. We definitely acquired the “fighter” from our father and the “lover” from our mother. So with my head in the books and sports my sister and I were quite the tomboys/nerd/loners and deemed outsiders because of it. The only activities we could participate in after school was music, art and sports and this is exactly what we did. We played basketball, volleyball and lacrosse, my sister focused on writing and choir and I on art and band (yes, I was in a marching band). Though deemed the schools outsiders and the “Twin Towers”, stress was never an issue because I had the support of my twin, therefore never felt alone and thank the lord we had each other, without her I am not sure I would have made it through half of some of the physical and violent tragedies of our youth but that is a another story for another time. Anyway with such an active lifestyle I remember most of my youth wearing box braids or corn rolls and the only major altercations to the natural texture of my hair is when periodically my Mother would hot comb my hair on special occasions, which meant church holiday sermons for Christmas, Easter and my Birthday…then I turned 13 and my Mother came home with a leisure curl. The time and effort my mother showed me is something you only come to understand and appreciate with age. 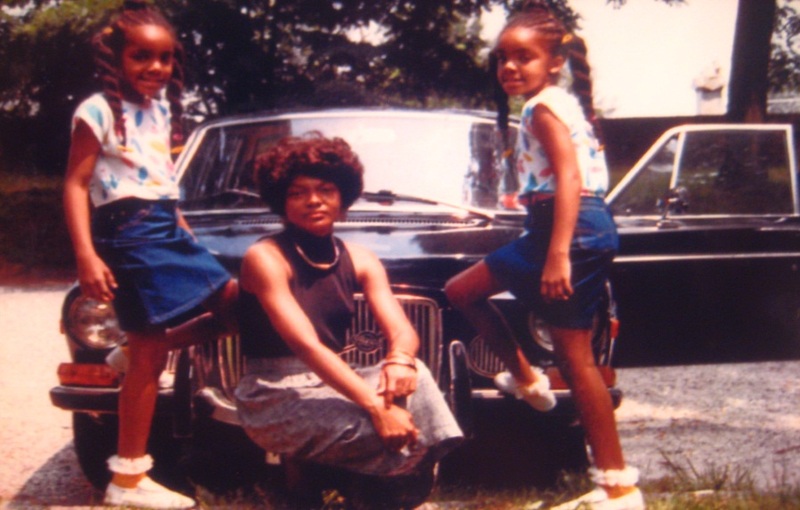 Now up until then my Mother was natural all her life. She sometimes wore wigs as her preference for a low maintenance style but other than that, completely natural until she came home from the salon with a leisure curl. Now for those unfamiliar with a leisure curl, think jheri curl but with a looser curl pattern and a more filtered “soul glow” in other words, less greasy. The leisure curl was a spontaneous move, scheduled for a roll press, her trusted stylist alerted my mother of a new process that wasn’t harmful to the hair, a “safe” version of a relaxer, making her hair more “manageable”, of course now we know this couldn’t be anything further from the truth but of course at the time it sounded like a good idea, especially since timing was exactly what my Mother needed during a period when my father almost passed away from a vehicular accident causing major TBI (traumatic brain injury), losing most of his memory of everything, including how to walk, talk and even who we were, but a miraculous year later, his rehabilitation was a success. So naturally when a Mother who I adore comes home with a completely new look, my sister and I wanted to be in her image and begged her for the same process. To be honest if my Mother came home with locs I would have begged for the same. Long story short I found myself with my first chemical process at 13. Four years later my hair was in rapid decline, problems I never knew existed like split ends, dryness, breakage and dandruff were in full affect, making my hair more difficult to manage than when I was natural. Also, my father was not thrilled of the end result of the leisure curl but for different reasons meaning cost, he pulled a cease and desist, leaving me with two different types of textures that had I no idea how to work with. There was nothing I could do to salvage my hair and soon the “safe” alternative to a relaxer was causing my hair to fall out in clumps not only from the chemical but not knowing how to gently handle the demarcation line. Through this disastrous transition, a memory I will never forget is loving the feel of my natural texture versus the altered strands which I had not felt in four years. Naturally my hair continued to decline, leading me to cut all my hair off or “bc” (the big chop). Having no clue what to do with my hair, I just washed it every three weeks and slapped grease on every other day. I didn’t know about the natural oils so slapping on some Blue magic or Johnson and Johnson’s was the only way I knew how to deal with the dryness. I was also distracted by another major event when my parents parted ways due to a tumultuous partnership. I am grateful for the many positive attributes of my father but it was certainly a Jekyll and Hyde relationship in terms of his moods physically and mentally. While the separation was taking place before I knew it my hair was growing like weeds, and 3 years later my hair was 18 inches long from braid outs and constant updos. So without realizing it I was protecting my hair via low stress hair styles, updos and unconsciously sealing. I know without a doubt this was the key to my healthy hair growth. In my senior year of High School I took place in Maryland’s Statewide Art Competition. I was discouraged by an AP teacher (Advance Placement) to enter because of no formal training. On the flipside, I was strongly encouraged by my family and the day of took home every single award (“Best in Show” “People’s choice” and a partial scholarship award). I was quickly accepted to one of San Francisco’s top art universities but during a summer family vacation to New York I was scouted by Elite Modeling Agency in NY, which quickly diverted my plans and submerged me into the wonderful world of the fashion industry…. or so I thought. As a high fashion model you are representing a blank slate meaning everyone has their own look and personality but the client is choosing the foundation and then molding you into how they see fit. When I started I was naive about the business. Little did I know that change is what makes this fashion business go round and as a black model with afro-textured hair most of the jobs I received involved changing my natural hair state “by any means necessary” and my hair suffered DRASTICALLY. I did not take this sitting down but even with my respectful attitude I became known as a bit of a rebel. Rebel? Why should I be tagged as a rebel when I mention that my hair cannot withstand the constant heat or my hair is not compatible with glue or glitter (I don’t know if anyone has ever experienced glitter in afro-textured hair, but let me just say it was a NUNACE of my existence to remove and lets not talk about glue). This led to the usual responses of “my hair needs to conform to a certain curl pattern to be accepted by the masses”, “that everything was working except the hair”, “you could go so much further if you just did something to this head”, but at the end of the day I was hired to do a job and that is what I did. I slowly but surely transitioned from a full set of hair to a distant memory of what was, but soon “at the end of the day, I am hired to do a job” wasn’t cutting it for me. I was tired of everyone telling me what my hair should look like. I expressed my concerns with my agency and said I would not do any more jobs if they wanted to alter my curl pattern (meaning no heat). They respected my wishes but thought it was a radical move and needed to mention that it is my job to “conform” but whose conformity? Models of color who did not have my hair type were not told they needed to change the texture of their hair on a DAILY basis, a cut, length, extensions or color yes, texture no? On one occasion I had a meeting with my booker to discuss the texture of my hair alone, who pointed out a young model with a loose coiled textured and said my texture should be similar if I wanted to book more work. Or another incident experienced my second chemical, a texturizer, when I was told by another agent that my scalp along my hairline was not visible because my hair was too thick, lol yes she actually said that. With the boom of the .com and social media, the industry is of course making changes but years ago it was a different story. A small timeline of the disintegration of my hair through my experience in the modeling industry. Far left representing the beginning stages while far right represents the latter years. Volume and length of hair decreases towards the end of the timeline. 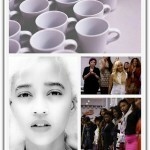 My goal was not to become a top model but to earn money to pursue my love of the arts. Even with my hair fiascos in this business I have skipped down the forest and experienced every hair story imaginable such as traction alopecia from weaves, burning, singeing, breakage from dryness, unintentional dreading, accidental haircuts and on and off chemical warfare “lions, tigers and bears oh my”, work and pay was very steady but I began to wonder is this where I belong? 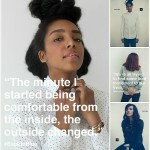 As a black woman I didn’t feel comfortable conforming to a certain idea of beauty. This just didn’t feel right. I would look in the mirror and always felt something was missing but I couldn’t peg it down. What I didn’t realize then, that I was beginning to become conscious of my conformity to a certain “standard” of beauty and it didn’t feel right. I am so grateful for all the opportunities of past and present such as traveling, meeting so many amazing people and financial stability but I had to make a choice in money or my own happiness, I chose the latter. Even though I was chemically free, mentally I was not completely natural, I still had to face another hurdle, accepting the natural texture of my hair. Being natural was great but I was still stuck in a rut of trying to achieve the perfect curl, braidout or twistout and even using heat every other day because I wanted to constantly keep shrinkage at bay, no matter what the cost. Through all of my years of conforming to a certain “standard” of beauty, I was now conforming to a certain “standard” of natural hair. Believe me it was frustrating and draining to say the least. “Health” and retaining length came when I finally saw the beauty in my afro-textured hair and realized all the constant manipulation and heat to alter my curls into something they were not was doing as much damage as when I processed my hair years ago. It wasn’t until I truly accepted all of my self when all parts of me flourished in more ways than I could have ever imagined, it was a gust of cool breeze on a humid and muggy summer day. The truth is hair is just hair for many and who I am to judge, I have met plenty of natural hair women who couldn’t give a damn about others while women who choose to wear their hair in other states combat the injustices of this world with a ferociousness that is hard to believe, but for me natural hair meant a bit more. The natural state of my hair is just a physical transformation of the changes from within and now when I look in the mirror, I feel like…me. my journey was different but i saw some similarities in how i came to the acceptance of the owning of my hair and what happens to it. thanks for sharing. What a beautiful and excellently expressed read! I thoroughly enjoyed your word journey through your story. Thanks for sharing your story. The part about racism puts everything in perspective. Wow, I was just telling my Mom today that no matter who you are you have a story to tell. You’ve experienced so much yet through it all you’ve managed to discover you. I admire your strength… Thanks for sharing! Thank You for sharing this with us Cipriana, very inspiring story. Reading this was so touching for me. I could definitely relate to certain parts. Simply because it wasn’t a one dimensional story about your hair and only your hair. So many different factors influence us. Thank you for sharing your life and your journey so far. P.S. You and your family are gorgeous! Beautiful story, beautiful family. Thank u for sharing with us. This is such an inspiring story. 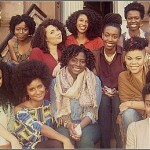 The quote has been circulating that we don’t go natural, we return to it and I feel that with this story. You search all over for what you think beauty and individuality entails when all that you need you have with you the whole time. The tough journey is the one where you accept yourself even when everyone tells you something is wrong. After seven years natural with a cropped cut, I’m growing my hair and starting a new journey to learn my hair in a new way. As you said, for some people it’s just hair, but for me, my big chop helped me find my femininity and growing my hair might help me define myself in a new way. 1.6 inches and counting! I love your story! Very inspiring. My story is short. I actually became natural by accident. lol. When I was younger I always admired natural hair. I had relaxers or extensions for as long as I can remember. When I went to college I got my first extensions and that started my no-relax journey. After I finished graduate school I started wear my hair ‘out’ in it’s natural state. I’m still learning about my hair everyday and glad I stop getting relaxers. I’ve always been curious…how tall are you and your sister? And thanks for sharing your story. Something was off…i wore my relaxed hair in wash and go’s all the time. the dominican hairdressers hated it…. It was an emotional battle for everyone but, we’ve found balance. Fast-forward 11 years, and i move to Florida. No reason. just wanted change. I meet bf who’s healthy lifestyle is definitely a reason to pick up someone else’s bad habit hehe! and i go natural. I never had relaxer issues! My mother studied cosmetology…my mother, was also my salon…you understand my drift. She did such a great job, i could have have been on crack for life..she did the job gracefully and patiently…graduate fo’sho! No sarcasm! My story of why I became natural isn’t nearly as amazing and inspirational as yours. 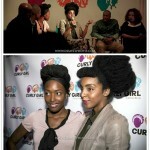 Thank you for telling your story because it inspired me as a natural. I think that it’s important for women to uplift and inspire other woman other there even if you can only touch just one. I am somewhat new to my journey and your post has helped push me to keep going. I am also a lover of the arts, and fashion and my insecurities have held me back a bit. Thank you for your dose of motivation. I love it very inspirational! I remember reading one of your earlier posts somewhere ,about your journey and was one of reason I chose to follow you and Nikisha on your website. You are both such beautiful souls, inspiring people everyday and I greatly appreciate your courage to be vulnerable with us in this community. Blessings to you Cipriana (such a beautiful name too). I had no intention of going natural. I wasn’t against it, but I always loved my short cute precision cuts. Three years ago I’d gotten sick and the state of my health would often show up in my hair. My hair would always break in the middle of my head and this time was no different. I ended up going to a new salon – an Aveda salon with black clientele. The hairdresser did me the biggest favor ever. She actually LOOKED at my hair and said she thought we should cut it all off to the level of the damaged hair and work on the health of my hair. NO one had ever looked at hair health over process. So…I agreed. She cut it all off and I had no hair – not enough to brush or comb. And I loved it. And that’s how I fell into natural hair. Wow. Every natural has a story. Its incredible that after all the heat damage, breakage, color, and heartache…you realize that you can have the hair you wanted by accepting exactly what was given. I’ve been through much of the same with the hair journey, but it is when you fully accept who you are and what you are currently dealing with, that it makes all the difference. I went natural because I got tired of getting chemical burns. I asked myself one day in high school, why am I torturing myself? I stopped getting relaxers immediately after. But one thing you said in your story above really spoke to me and that was you were conforming to a natural hair “standard”. Once I went natural, I found myself trying to fit that standard as well, constantly trying to beat my hair into submission with hot combs and twist outs. I have nothing against twist outs or straightening hair, but I felt like I was trying to make my hair look like something that it wasn’t. Once I fully embraced my texture, I felt like I was finally being my authentic self. I love your story. wow! you’ve come along way, may God continue to bless you! It was nice reading your story. Thanks for sharing your continuing journey. Your hair and personal journeys were really interesting. Mine, not so much. I’m a Jamaican living in China where I was having to relax and care for my hair on my own. Even relaxed, the Chinese stylists had no idea how to deal with my hair. Also, it was never my intention to go natural but a racist/black-woman hating Youtube video made me decide to go natural and I must say it’s the best thing I have done for myself. It was a video of an ignorant white girl and her black boyfriend sharing all these stereotypes of black women-none of which were true except for the constant weave wearing which according to them was because we couldn’t grow our own hair. It just made me think that by wearing weaves I really was personally contributing to these ridiculous beliefs and stereotypes and that night I cut it all off. It was extremely hard as I knew nothing of the whole natural hair movement at the time (when I left Jamaica 2 years ago the only women with natural hair were the most devout Christians), I had had relaxed hair most of my life and I honestly didn’t know the first thing about caring for my natural hair. I can honestly say now though that it has gotten easier and that I now have a greater love and acceptance of myself than I ever did before. I feel like this is me, no pretenses. omg I saw that video too! I am a Jamaican living in Jamaica. Its not only the devout Chirsitans who go natural, also the Rastafarians, and many people who like the hair they were born with. Please note many people who are over 80 now in JA pride themselves on never havinig chemicals touched their hair and they want the same for their grands and great-grands. Thank you for sharing your story!! That’s so amazing!! I debated for 2 years about going natural, it was very gradual but a decision that I don’t regret at all. I am going through that debate again about becoming a vegetarian, stay tuned….thanks again Cipriana!! I did read your post from awhile back about your natural journey, but you put an emphasis on the your handling of your hair and transitioning to natural oils as opposed to petrolatum based products. 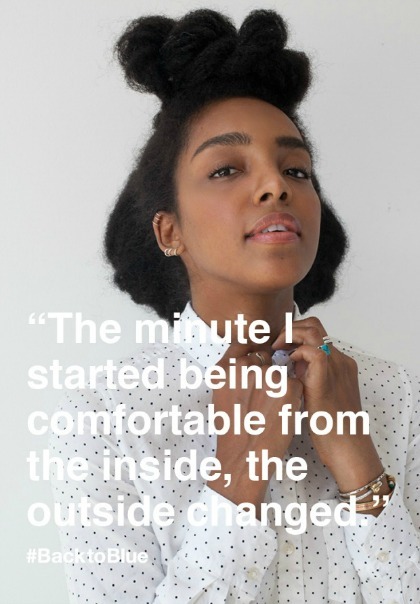 I loved how in this post, though you are essentially discussing the same thing (your hair), you focused on how your home-life as a child influenced your perception of it, and how your career as a model impacted that. I can definitely relate to the part where you said your mother was the embodiment of beauty for you. My mother was that for me as well. She wore relaxers for my entire life, until about a couple of years ago, so when I was a little girl, I wanted to have my hair straightened, so I could look like her. All in all a great post. I love your hair!! <3 You encourage me to embrace my natural 4b/4c shrinkage. Although sometimes it may be frustrating. I know with time it will get better. If I may ask must I trim my hair twice a year? So, every 6 months. Or once a year. Wow this was beautiful, I am 19 and I am also going natural. It’s a process and I still can’t seem to figure out exactly what and how to do my hair or the right “products” that work for me but I visit your site almost everyday. It is very inspiring, and I learn something each time I visit, thank you for sharing your journey with us! Cipriana, I am just transitioning it is crazy how already I feel so alive. It’s like I am coming into my own. Just hearing about your life, your struggles and how you’ve overcome many of them is so uplifting. Right now I’m in my senior year of high school and I feel like there is so much pressure to fit this cookie cutter mold of what a woman is. But after seeing your experience I realized I don’t want to be anybody but me. Dear Cipriana thank you for sharing YOUR story of continuous journey of self-discovery, self-building, and growth. This candidness is beyond appreciated and cherished by many of your readers I can sense this and I am one of the new ones. Really thank you for utilizing the social media platform to inspire, uplift, upbringing an image, a new “standardless” image of beauty that has a soul rather than a monetary incentive at it’s core. I truly am blessed to be undergoing my own soul transforming journey and have the support of a community of women who have and are uncovering their own personal truths in this very superficial and scared to-be-real-and-vulnerable-world sometimes. Thank you also to your mother. She is not my mother but I aspire to be a mother like her someday. Cipriana, I first stumbled upon this wonderful blog about a year and half ago. Seeking information on how to manage my natural hair all while modelling. I’ve been modelling for about two years and it has not been easy. I was really naive when I first got into it. I thought once I was on the “board” that things would come easy. Of course I was wrong. Not only am I model of color but a model of color with natural hair, I quickly realized that this world was not meant or built for my identity. I was happy when my bookers told me they were against me having a weave and that they liked my natural hair. 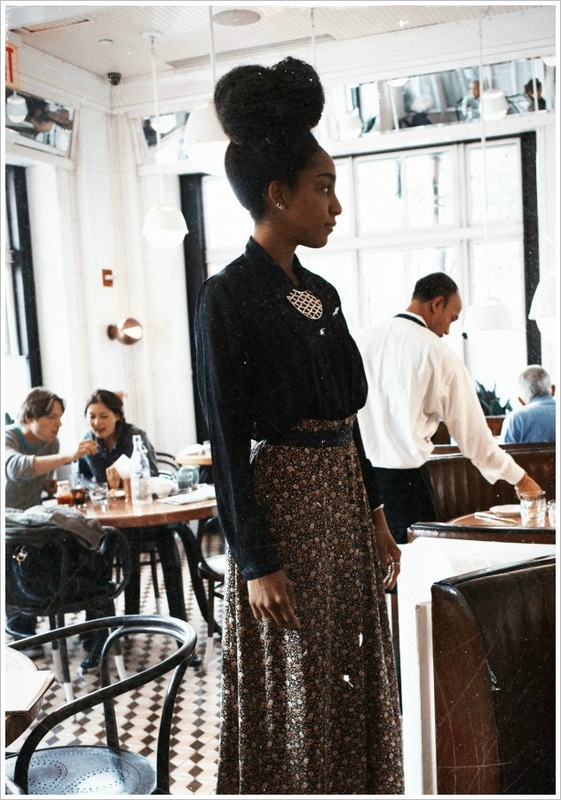 However, I soon found that models who were of color with a more Eurocentric look were being pressured into the weaves. Those girls got more jobs. Clients are willing to take on their tresses because they were less fearful. They looked more acceptable to them. I am too much of a token. I don’t blend in enough. Everyday is a constant struggle. I feel like i’m in a place where i’m trying to fit in, i’m trying to get more work all to pay for my University studies. I’m not trying to become a super model. I just want to enjoy it, make money and move on and pursue a career in the arts. Don’t get me wrong there are many times when my texture is embraced. However, It’s especially difficult when I try to instruct a hair-stylist through the process of styling my hair. Some stylists have wonderful attitudes and accept my information and take it as a learning session. This year and a half of modelling has been so damaging to my hair I don’t know what to do anymore. I hate to admit that It’s affecting my self-esteem. Reading this gave me some perspective. I appreciate you taking the time to share your experiences as a model with natural hair. Although I am still “involved” I am taking it day by day. I hope I can come to a place where I can manage my natural hair and prevent it from getting further damaged in the process. Hi Cipriana…….My name is Michelle. What’s your hair regimen? I’ve been natural for over five years now and my hair was growing thick, healthy & long, but because of stress, it broke off. I’m growing it back now, so I just wanted some tips and inspiration. Your suggestions are greatly appreciated. I really enjoyed reading this article. You are such a unique person. Amazing Story. Your prose is delightful.